﻿﻿﻿﻿Since the ICR would not only be elected by, but also be made up of internally displaced persons, refugees and people living in exile, it would be both a legitimate and an authentic voice, able to represent displaced persons worldwide. We intend to develop the International Committee of Refugees collaboratively, together with displaced persons, NGOs and other stakeholders, in the following two-stage process. (1) Develop the ICR Development Team to build momentum and engage with the 'refugee sector' and refugee communities everywhere. We are particularly keen to see refugees and people living in exile to join our team. Anyone interested should contact us. We need your help. (2) Run an international petition to obtain a mandate and to create a global network of supporters that includes internally displaced persons, refugees and people living in exile, as well as institutional stakeholders and activists. This petition is now live. To participate, please click here. (3) Subject to funding, consult refugees locally (wherever you/we are), across the EU and beyond (globally) to better understand the needs of refugee communities and to strengthen our network of members and supporters. To participate in or support this consultation please get in touch. 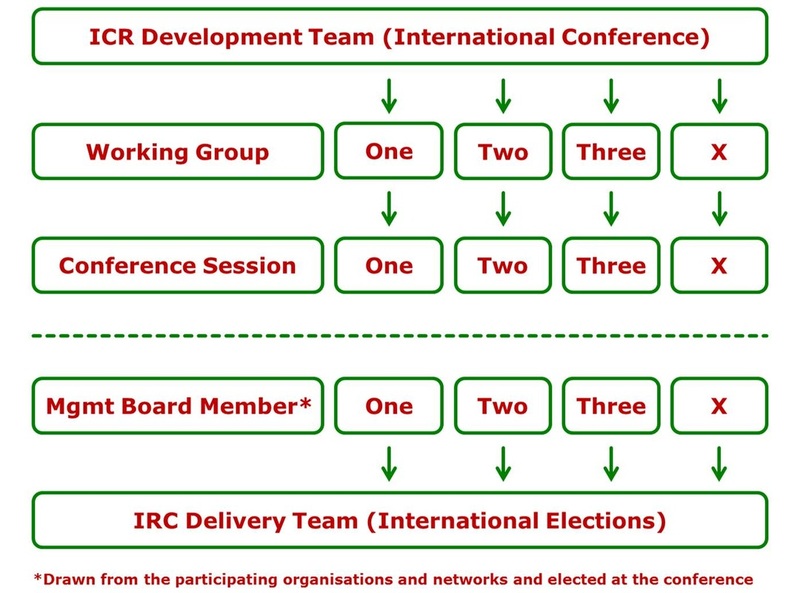 (4) Short-list potential board members, so that, if during the next stage it is decided to go ahead with the election of the proposed committee (ICR), a board capable of taking this forward can be elected/appointed. Anyone interested in proposing a board member should contact us. If we can attract at least 1,000 signatures and can show that there is a need for what we propose, we will, subject to funding, organise an international conference before October 2020. (3) cast a vote to decide whether or not to pursue the idea and call an international election to elect the proposed International Committee of Refugees (ICR). (4) If a vote is cast and it is decided to call an election, we will appoint or elect a management board to take the initiative forward and to oversee the election. The board would be dissolved once the ICR is elected. The initiative is self-managed collectively by our ICR Development Team (dt). Every internally displaced person, every refugee, every person living in exile and everyone wishing to support displaced persons can join the dt. Every dt member, or dtm for short, is entitled to establish working groups as they see fit for as long as they embrace our three foundational values of openness, equality and diversity. If someone creates a group they are entitled to chair it. All groups are open to all dtms. No closed groups are allowed. All groups must be advertised on our website (here), so that people know they exist and are able to participate. Every group has a defined purpose (aims and objectives). Some are discussion groups, some have a social or a technical focus. All groups will be offered slots at the proposed international conference (podium discussions, workshops etc) to present their work and share their thinking. Working groups are the principle mechanism by which ideas get developed and work gets done. Some groups will be self-managed, others will be organised by the Democracy School or other partners. Some groups meet once a week, or once a month; others might meet on an irregular basis. All groups will be run on a voluntary basis. Anyone wishing to set up a group can do so by completing and returning our participation form. The form can be downloaded as an electronic or a print version. Anyone wishing to join a group can do so here. The dt and its working groups are supported by the Democracy School who acts as the initiative’s accountable body and lead partner. Anyone interested in joining our dt should contact us. We are also in the process of developing our ICR Partnership Programme, which will allow other organisations to support us, for example as media partner. Anyone interested in partnering with us should contact us. Additional information about the Democracy School is available here.